Riding like the born horseman he was, across South Australia, through Victoria and into New South Wales, Harry decided that the best way to throw the police off was to lose himself in some nondescript country town. He was smart enough not to ride openly into his birth place of Mudgee, but found the ideal retreat just a little further north. The town of Gulgong, in 1871, was rapidly changing from a sleepy hamlet to a set of bare hills swarming with diggers. The rush had started when a man called Tom Saunders found fourteen ounces of gold, and the news went out on the wires and bush telegraph to every corner of the colony. Over the next ten years the Gulgong fields would produce some fifteen tonnes of the precious metal. 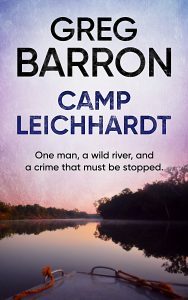 With 20 000 hopefuls arriving with their shovels and pans, Gulgong was the perfect place for Harry to hide while the police searched fruitlessly elsewhere. He changed his name and used some of the proceeds from the big cattle theft to buy a hotel. Soon one of the top businessman in town, Harry began to ride to Mudgee, always after dark, to visit with an old family connection. Her name was Elizabeth Jane Skuthorpe, now a thirty-two-year-old widow. The fling soon became a fully-fledged love affair. Harry galloping south every second night, sleeping in Elizabeth’s arms, then leaving before the break of day. Finally, he selected a diamond studded ring and proposed to Elizabeth on his knees. Unable to risk a public wedding, they married in private, at the Mudgee home of Elizabeth’s sister. Living in the hotel in Gulgong, life was good for the newlyweds. Their daughter Jemima came along in 1872. Harry enjoyed life as a popular hotelier, father and husband. His years as a stockman seemed like a lifetime ago, but the bush has a habit of calling back to its own. Harry had an employee at the hotel, an itinerant boy who performed odd jobs around the place. He collected glasses, cleaned rooms, hosed down the pavement and slept in the stables. After money and valuables started disappearing from around the hotel, Harry was watching the boy carefully. One evening, when the cash box was found to be missing, the boy and a horse were also gone. It was a grave mistake to try to outdo Harry Readford on a horse. With a couple of hours Harry had caught up with the boy on the Sydney road, still with the cash box. 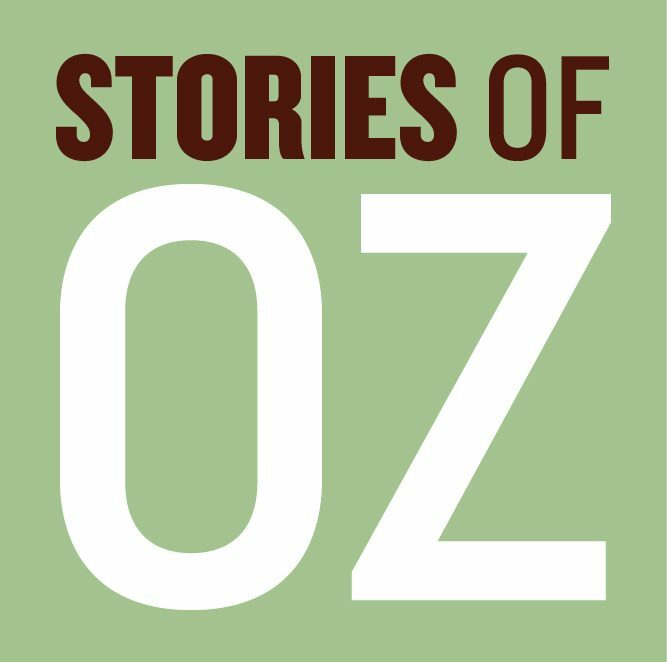 After a short chase the older man knocked the boy from his mount and dragged him back to Gulgong. The boy went on trial in the courthouse. It was an open and shut case, and Harry was there to see that justice was done. Unfortunately, it just so happened that a Queensland detective was in the courtroom that day. Worse still, he had earlier been assigned to the case of the stolen Bowen Downs cattle. The detective recognised Readford straight away. He sidled out of the courthouse, heading for the adjacent police station for backup. Within minutes one of the local policemen was whispering in Harry’s ear. Another timely warning, but this time Harry had a wife and child to consider. 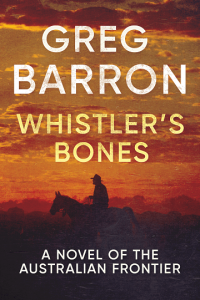 Researched and written by Greg Barron. Click here to view the sources for the story. 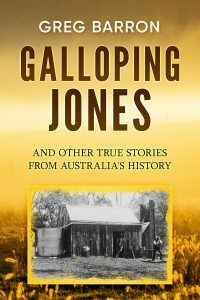 Learn more about the book: Galloping Jones and other True Stories from Australia’s History by Greg Barron.